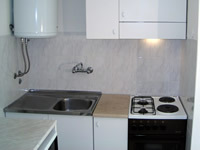 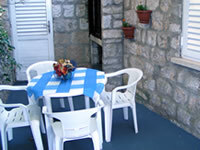 Air conditioned apartment for four persons, with two double bedrooms, dining room, kitchen, terrace and parking place just beside the house. 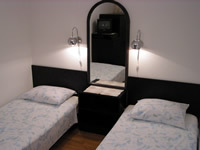 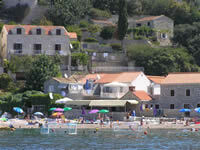 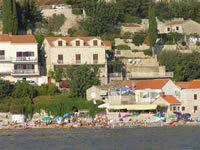 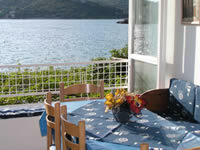 Five kilometers (10 minutes drive) from the center of Dubrovnik, in small and quiet village of Stikovica. 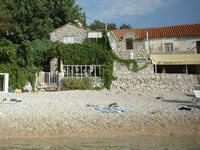 Beach is only five (5) meters away from the house.